Judges' Notes: During the summer, Heineken Ireland announced that it cut 55% of its CO2 emissions since 2010, as well as meeting a series of its other environmental goals. However, not content to rest on its laurels, the group now wants to reduce its CO2 emissions on a global scale by 40% by 2020 and is aiming to have 70% of the energy it uses in Ireland coming from renewable resources by 2030. 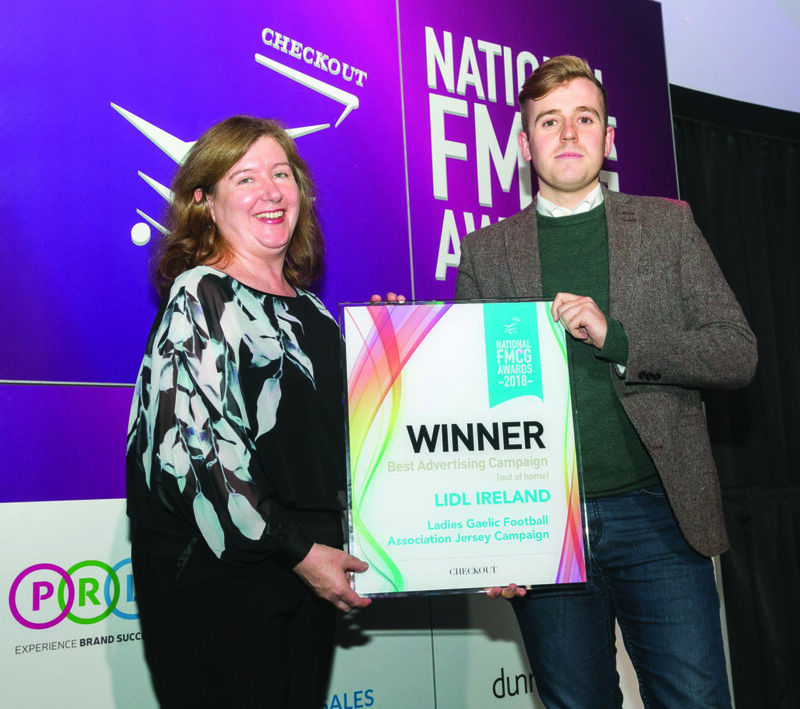 Judges’ Notes: Lidl’s OOH promotion of the 2017 Ladies Gaelic Football All-Ireland finals gained 294 GRPs (gross rating points), reaching 802,000 on average 8.4 times, successfully raising the profile of the Ladies Gaelic Football Association in the Republic of Ireland, contributing to the 49% year-on-year increase in attendance at the championship final match. Judges’ Notes: A strong brand partnership with Dublin’s finest Bernard Brogan as King of the Hill afforded the King brand the opportunity to re-connect with the Dublin audience. 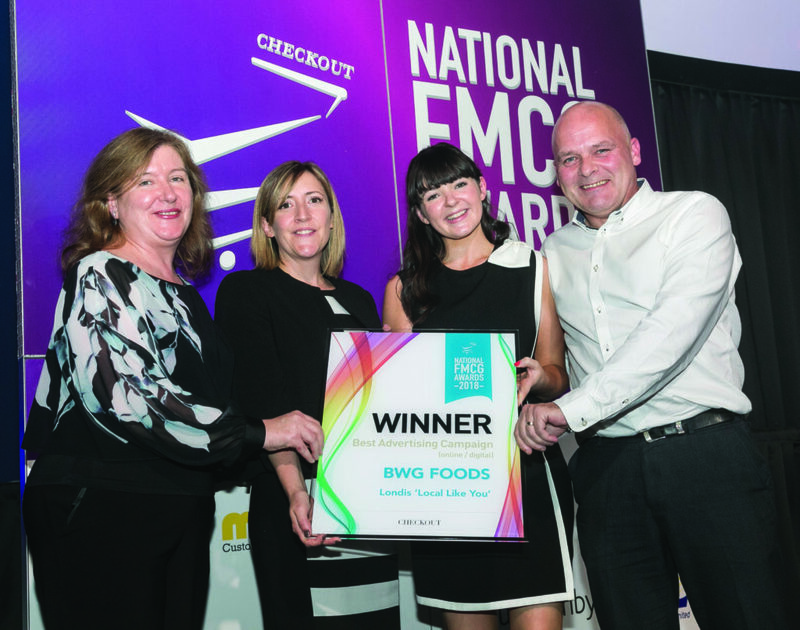 They did this by establishing a strong online presence and by using innovation and technology to resonate with consumers and drive consideration in-store for King, with effective outdoor advertising throughout key Dublin locations. Stellar results were achieved across OOH, digital PR and on-pack engagement. 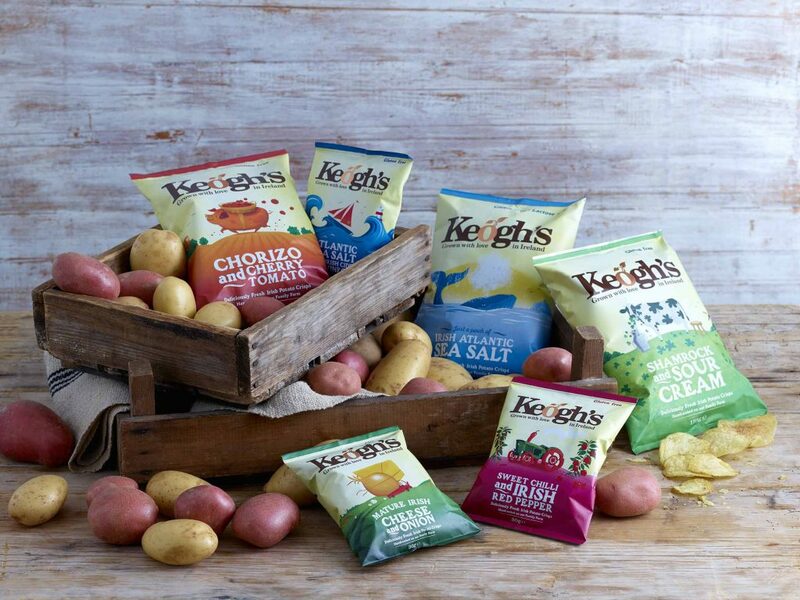 Judges Notes: A popular, if relatively new, Irish brand, it joined our Top 100 in the 96th position. Since 2012, this family business has seen its product gain a strong share of the overall market, which is quite a feat for a small farm producer. 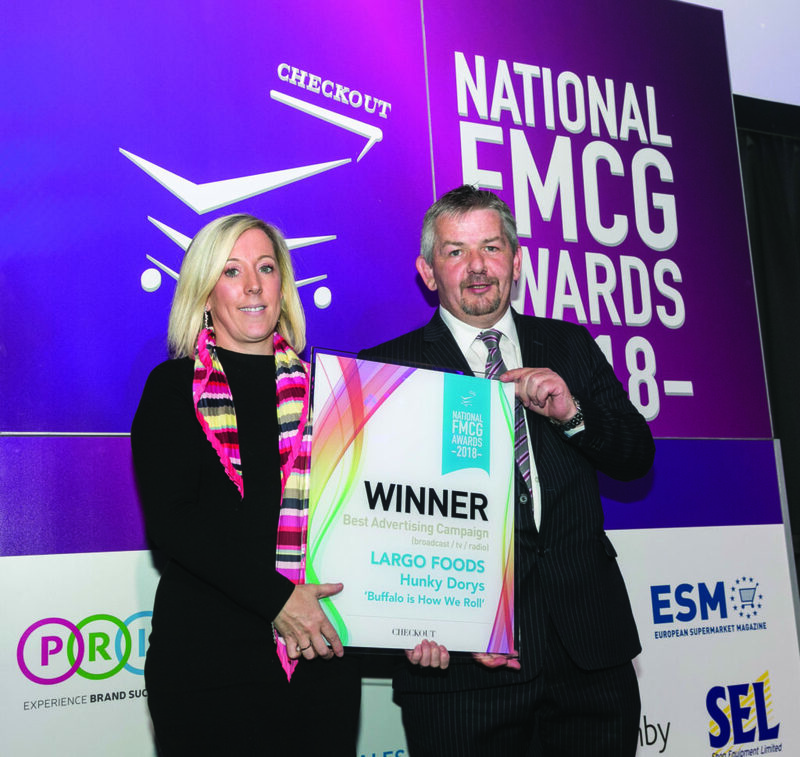 In fact, the business has been growing by double-digit figures annually, making it the fastest growing and only Irish-owned brand in an extremely competitive market that features dominant international players. Judges’ Notes: Musgrave kicked off 2018 by signing the Government’s Food Waste Charter, which is focused on achieving a common approach to the issue of food waste across the retail sector. Fast forward to May, and Musgrave’s CEO is one of the founding signatures on The Leaders’ Group on Sustainability. Hot on the heels of this initiative came the announcement that SuperValu was replacing all non-recyclable single-use Frank and Honest coffee brand cups with a new compostable cup and lid and would be introducing compostable fruit and vegetable bags in its stores. And it recently revealed plans to make Westport the first town in Ireland to eliminate single use straws as part of its TidyTowns campaign. 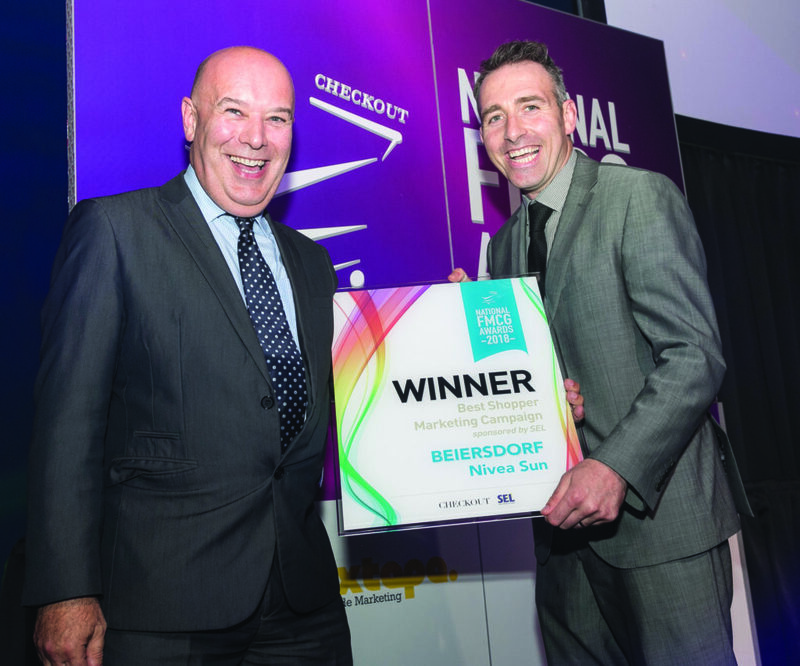 Judges’ Notes: For Nivea Sun to be successful, Beiersdorf had to change shopper behaviour and drive sales. They did this via the implementation of a category Sun Shop in Tesco. 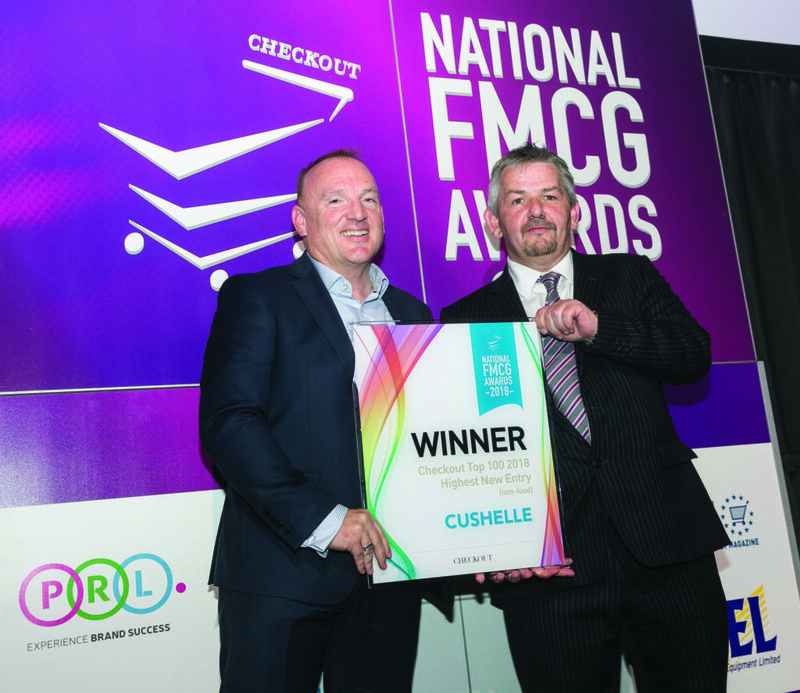 This consisted of 30-foot floor media being placed in Tesco's biggest stores, huge aisle arches, and bus stops up and down the fixture, in addition to shelf barkers on each shelf. This was created in a modular format, so it could be rolled out to smaller stores. Judges’ Notes: A SOUP'er Ambassador is somebody who helps Cully & Sully to spread the word about their soup to friends and family in the UK! 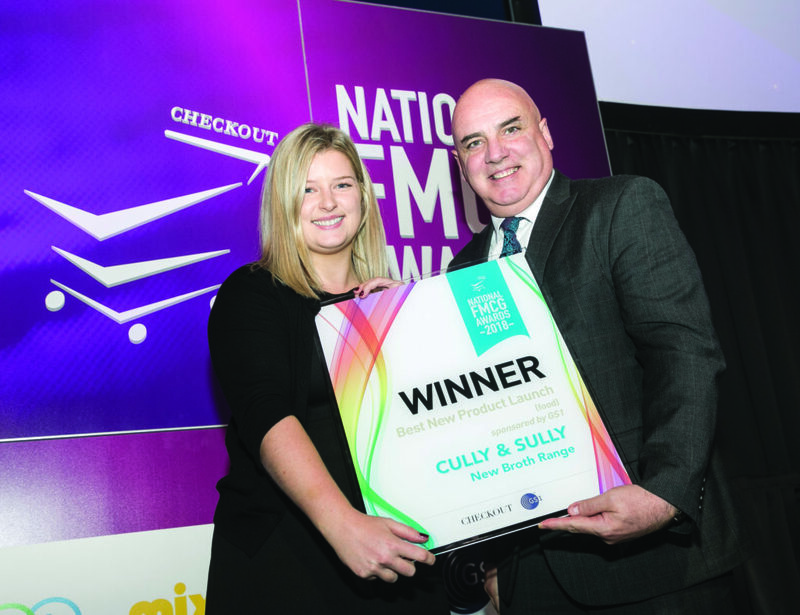 Following two successful campaigns, they launched a SOUP'er Ambassador 3.0, and the task was as simple, and as effective, as ever: consumers were invited to share the good news that they were in TESCO UK on Cully & Sully’s Facebook, Twitter & Instagram using the hashtag #cullyandsullyUK. 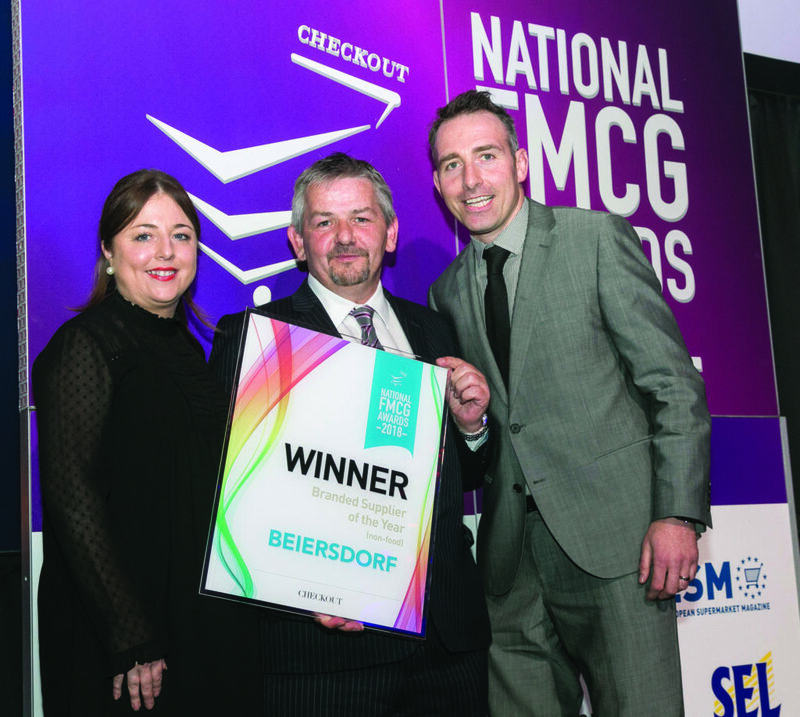 Judges’ Notes: Beiersdorf launched Ireland's first men’s body grooming range in January 2018 with three SKUs in the range - a body shaving stick, gel and aftershave lotion. Their new product development suite helped them to turn around a category that was in decline and actually put the category back into growth, which is great news for their retail partners. Judges’ Notes: Appleman’s Cider champions ‘appreciating the slow’ and rewards customers with an uncomplicated quality experience. To launch this new cider, the creative idea that they developed focused on celebrating the joy of keeping things simple, based on their belief that the simple joys in life are the most rewarding. Judges’ Notes: 2018 marks Gala’s fourth year of support for Special Olympics Ireland. 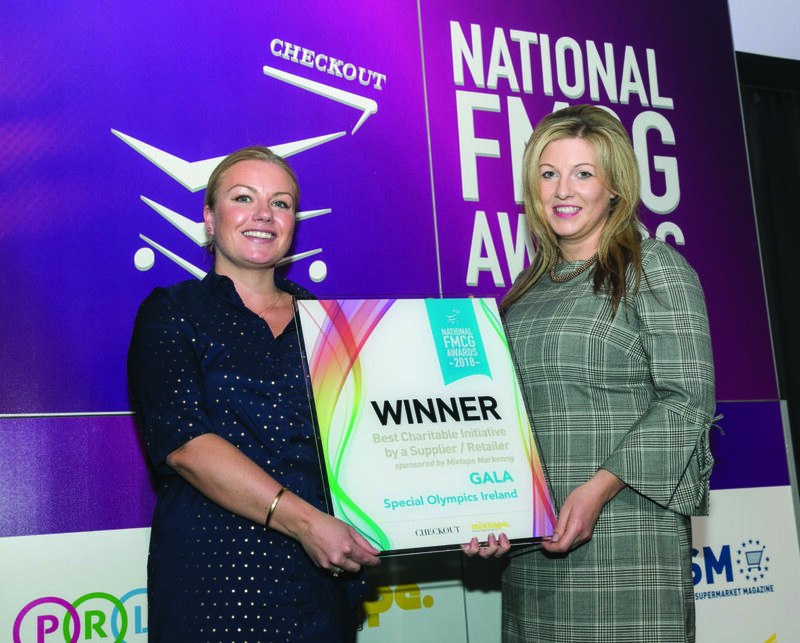 To acknowledge the incredible role that Special Olympics Ireland, its athletes, families and supporters play in our community, in its 20th year, Gala decided to increase its budget commitment to Special Olympics Ireland and allocate almost 30% of its entire marketing budget in support of the Special Olympics Ireland Games. 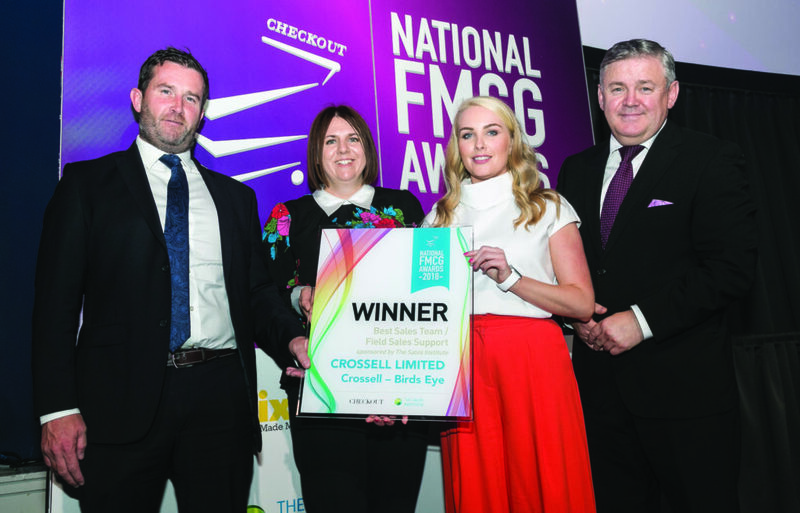 Judges’ Notes: The Crossell-Birds Eye sales team maximised innovation in the field and went above and beyond when it came to in-store execution. By consistently building and leveraging long-standing relationships in stores, the team lifted the entire frozen category and grew Birds Eye’s market share in a declining market. 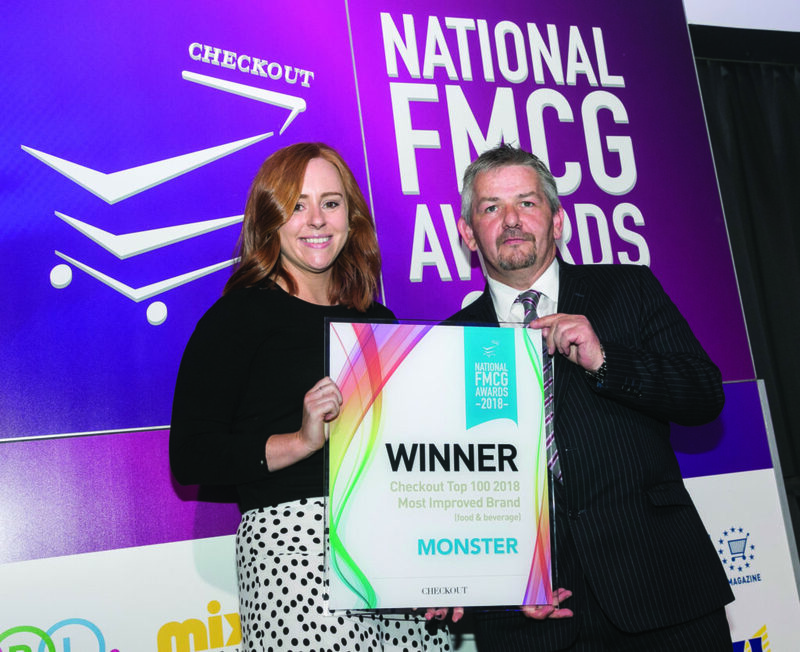 Judges’ Notes: Not only was Monster Energy the most improved food and beverage brand in our Top 100 rankings, it was also the biggest mover in the rankings this year. It only entered the Top 100 Brands in 2017, claiming the 64th place position, and this year it performed an equally impressive feat, vaulting to 38th position in the rankings. Judges’ Notes: At the outset of 2017, Hunky Dorys set out to create a breakthrough TV campaign for Ireland's second favourite crisp brand, resulting in the birth of Buffalo Is How We Roll! For the first time ever the Hunky Dorys buffalo, the brand icon, was brought to the fore of the above the line creative with the goal of developing a concept that would deeply connect with the brand’s target audience of 18 to 35-year-olds. Judges’ Notes: This Londis TV advertising campaign married data and creativity to create a fun, innovative campaign that dramatised the retailer’s local knowledge in a highly memorable way. The campaign was launched with 20 second television and video on demand adverts and was supported with social media, digital and theatre kits to bring the campaign to life in stores. 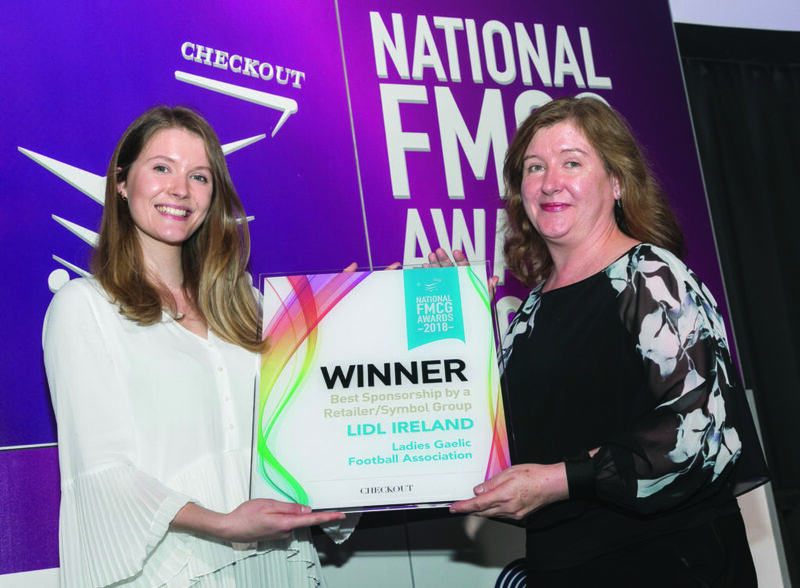 Judges’ Notes: The creative concept behind Lidl Ireland’s Ladies Gaelic Football Association Jersey marketing campaign was to recreate the Ladies Gaelic Football Association county jerseys using products found in Lidl stores. Outdoor activity included county specific jerseys featuring on advertising billboards and on Lidl’s own store billboards. 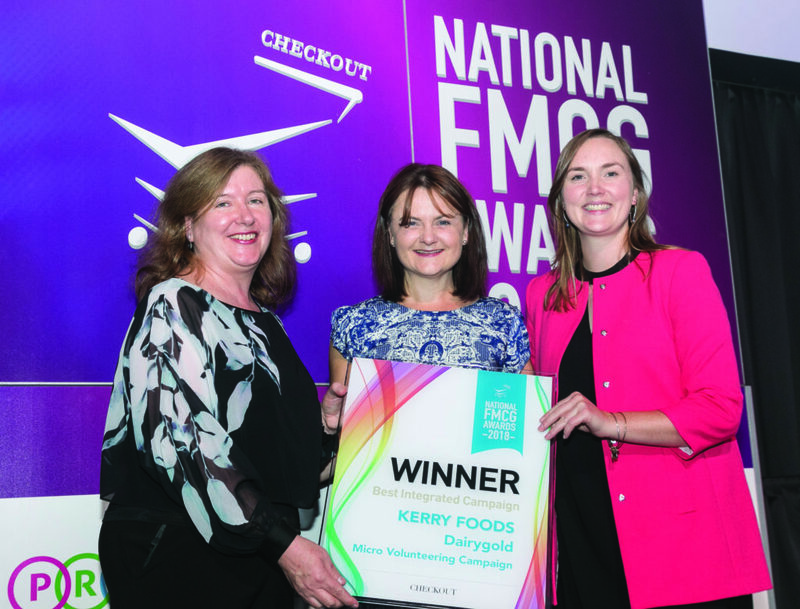 Judges’ Notes: This year Dairygold helped bring the world of micro-volunteering to the public. Micro-volunteers complete small tasks that make up a larger project. It differs from normal volunteerism as the tasks take only minutes, and the volunteer does not make a long-term commitment. Typically, it is done online. This is ideal as it enables busy people to help others in the time it takes to wait for a bus, stand in a queue, or enjoy some toast with Dairygold. Moy Park – Masterfully Crafted. Marvellously Tasty. Breaded Relaunch. 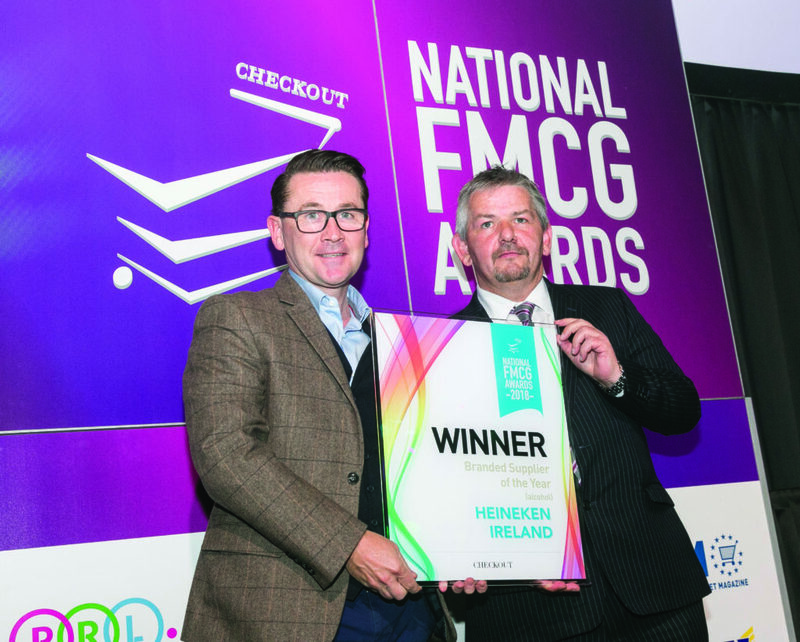 Judges’ Notes: Heineken remains the number-one lager of choice in Ireland for 2018, with a continued focus on innovation and an all-star sponsorship portfolio. 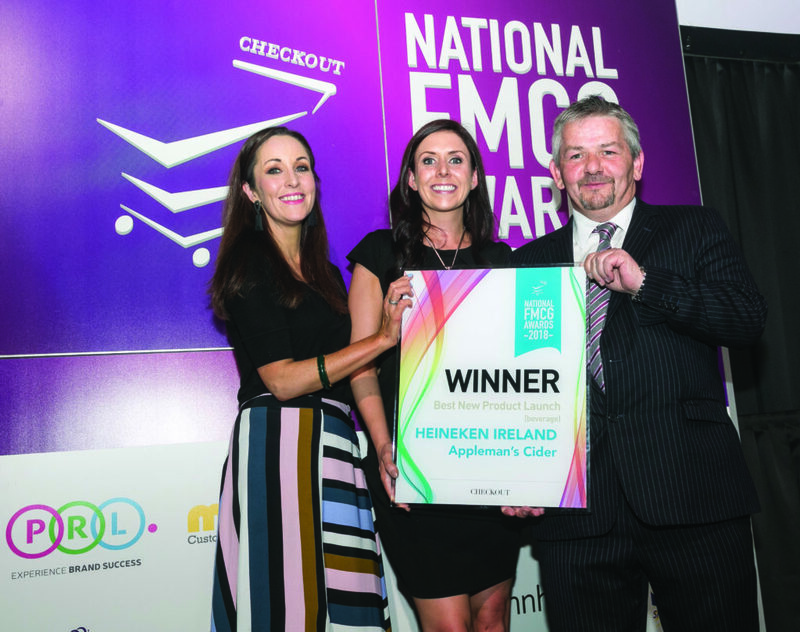 Heineken 0.0% was launched in March this year and, together with Heineken Light, both offerings tap into unique and different moderation propositions for Irish shoppers and consumers alike. 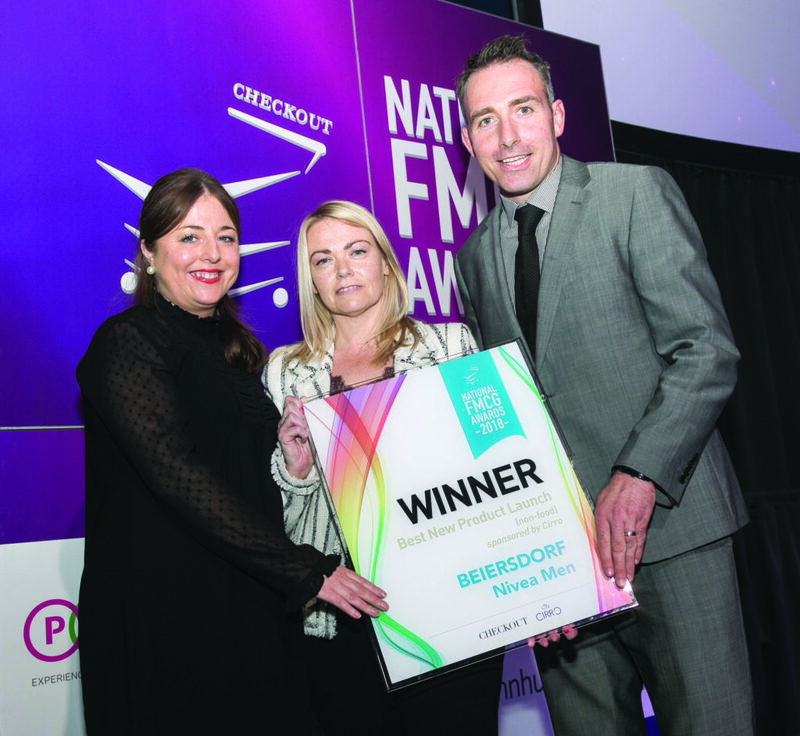 Pictured L-R: Michelle Ryan (Beiersdorf), Pat Murray (Checkout Magazine), Paddy Carmody (Beiersdorf). Judges’ Notes: Nivea retained its position as the leading brand in the creams/lotions/oils category in this year’s Checkout Top 100 Brands, which isn’t surprising, as 2018 has been a busy year for the brand. 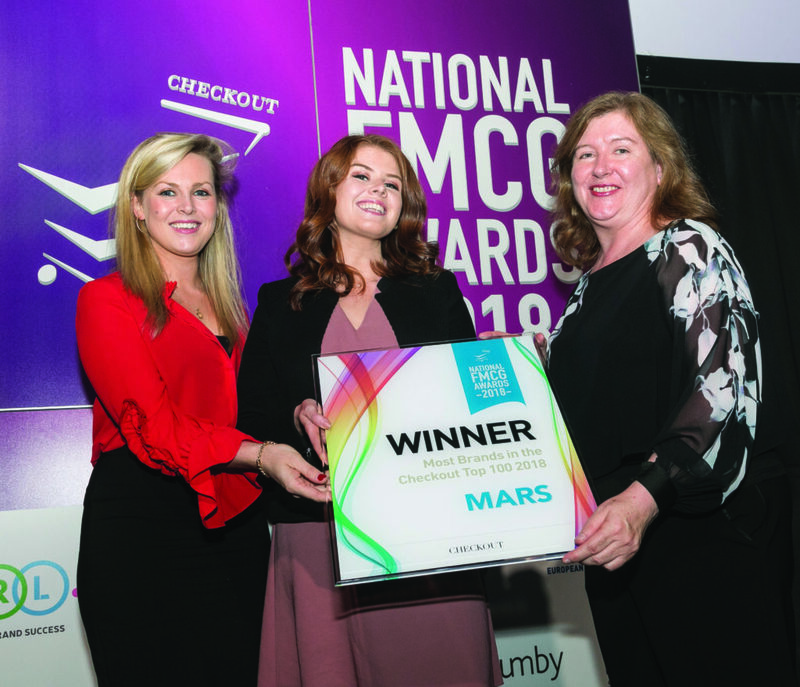 So far, it has been named Europe’s most trusted skincare brand, it also launched Ireland’s first body-shaving range, and partnered with London Fashion Week to launch the new limited-edition Nivea Black and White invisible deodorant. 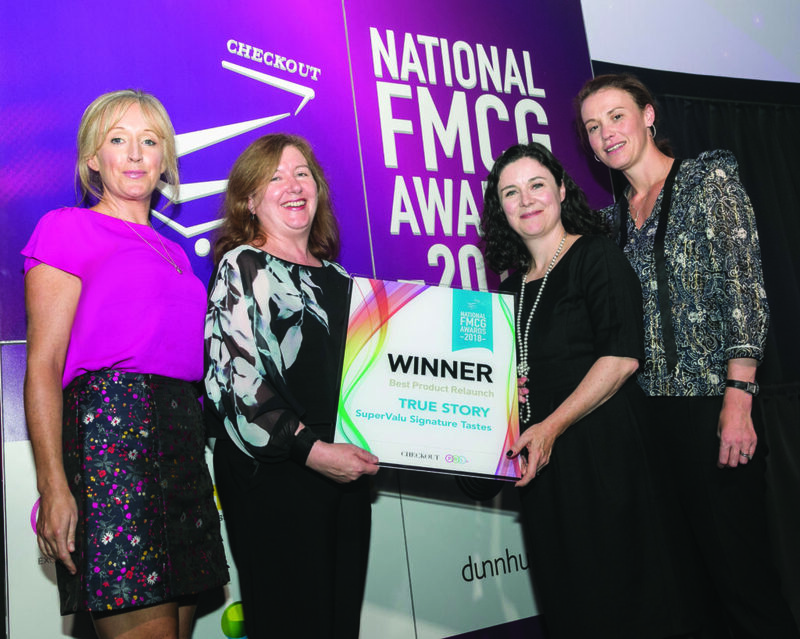 Pictured L-R: Claire Lynch & Gillian O’Sullivan (Britvic), Pat Murray (Checkout Magazine), Caroline Hyde (Britvic). 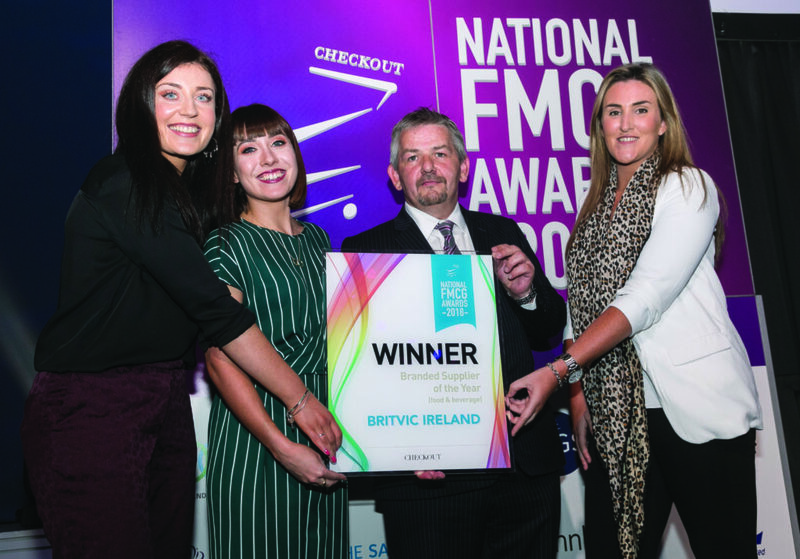 Judges’ Notes: Britvic is the number two supplier of branded carbonated soft drinks in Great Britain, and an industry leader in Ireland and France. Through franchising, export and licensing, Britvic has also been growing its reach into other territories, particularly the United States. Britvic has successfully developed the business through a clear strategy of organic growth and international expansion based on creating and building scalable brands. Judges' Notes: This company celebrates 130 years this month. Its first product was sold under its brand in London’s Convent Garden on 20 September 1888 and the company has since grown to become a multi-national brand with an annual turnover of €1.2 billion. With charities, community organisations and established foundations, it is committed to improving the living standards of growers through many different projects, including educational and community initiatives, and large-scale housing programmes. 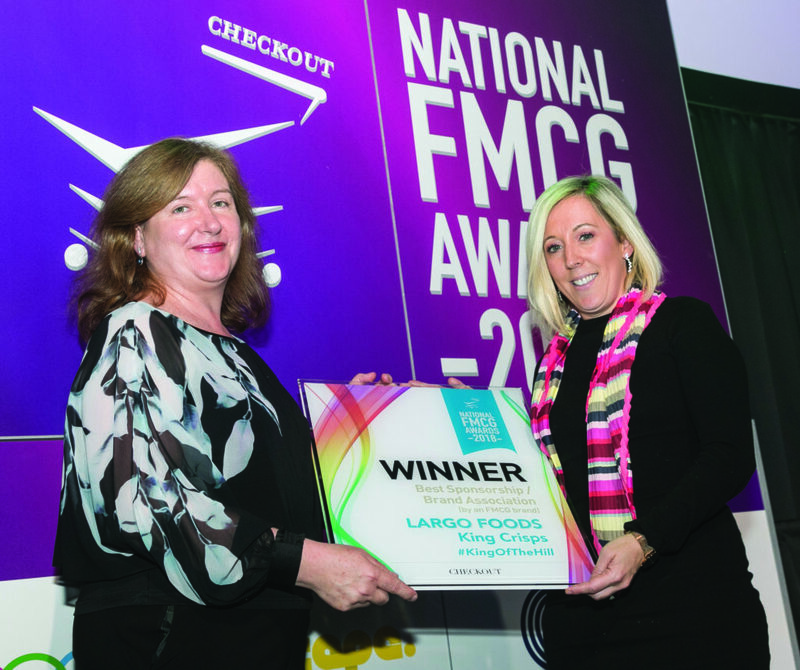 Judges’ Notes: It is a leader in a myriad of grocery categories, and its leading brands have been household names in both the food and non-food categories for generations. With the likes of Pedigree, Whiskas, M&Ms, Extra, Galaxy, Maltesers, Dolmio and Uncle Bens in its portfolio, it’s fair to say that this is a company whose products adorn the shelves in most consumers’ homes. 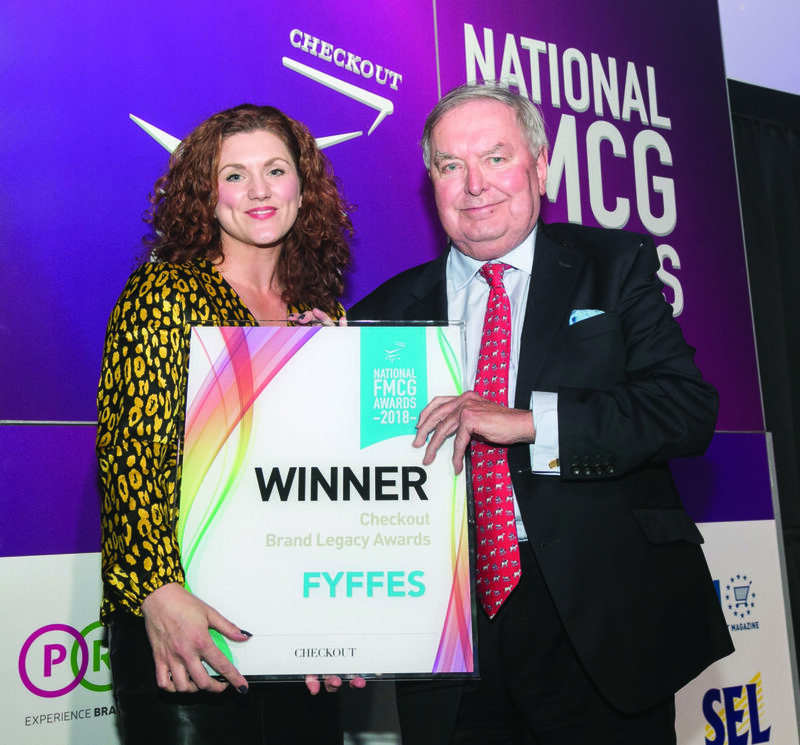 Judges’ Notes: Its strong value and quality proposition have endeared it to Irish customers, with the brand also rising from fourth to third place within its category, Toilet Tissues, this year. 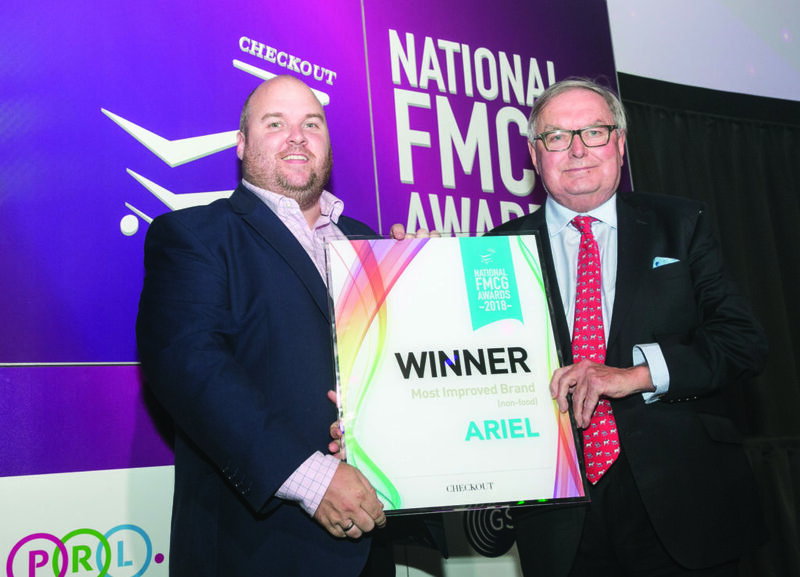 Judges' Notes: The winning brand in this category had a very good year, moving up five places in the Checkout Top 100 rankings to 70th position. This brand has been performing particularly well in recent years, having ranked 82nd in 2016.